New York State Energy Research and Development Authority (NYSERDA) identified the two sites, which combined, encompass nearly 4,300km2. It has also requested the Bureau of Ocean Energy Management (BOEM) identify and lease four new wind energy areas from within these two sites. 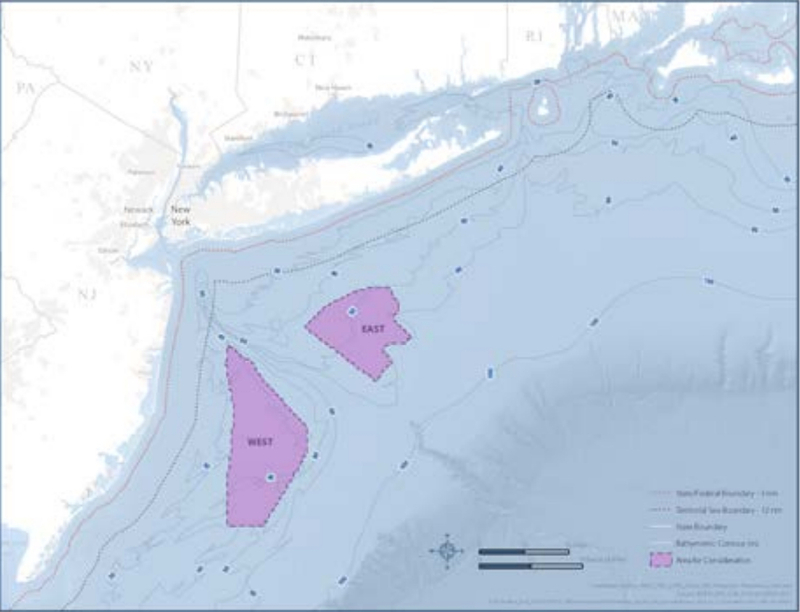 NYSERDA detailed the sites in the state’s offshore wind master plan, which sets out a roadmap to help New York procure 2.4GW of offshore wind capacity by 2030. The 60-page report also covers how this capacity might be procured, infrastructure considerations, the benefits of development on a local workforce, the impact of cost reductions before 2030, how the environmental impacts of offshore wind sites might be mitigated, and areas for further research. Governor Andrew Cuomo had previously announced plans for two requests for proposals (RFPs) in 2018 and 2019 to procure at least 800MW of offshore wind. NYSERDA’s latest document does not confirm precisely when either solicitation will take place, how the 800MW capacity will be divided between the two tenders, or what mechanism will be used to procure the capacity. However, it states: "Joint procurement of the generating assets and transmission and interconnection structures presents the most easily implementable and feasible option for the initial 2018 and 2019 solicitations". Payments to winning projects are adjusted every two years based on two-year energy and capacity price forecasts. These options will be "subject to a formal party comment process" with a decision to be made ‘in the coming year", NYSERDA wrote. Six potential development areas already exist, but will also be available to neighbouring states, including New Jersey, Rhode Island, and Connecticut, so New York wants four new wind energy areas to be identified and leased. These would come from two sites more than 33km from the coast, one sited southeast of Statoil’s area, and the other east of US Wind’s area. NYSERDA’s report claims that New York’s "central location between northeastern and mid-Atlantic states, where the majority of US offshore wind energy projects will be built in the near term, with existing port facilities, is ideally positioned to service wind farms across the region". 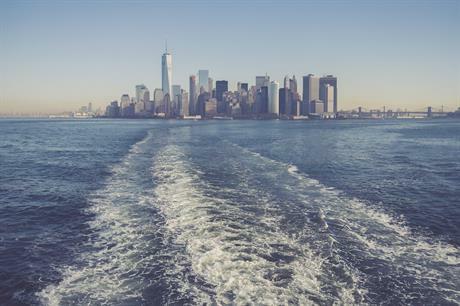 An earlier study carried out by NYSERDA concluded that New York’s existing infrastructure, specifically ports and manufacturing assets, is well-suited for offshore wind development. However, NYSERDA's latest report noted that further industry-specific design and manufacturing knowledge is required. "The development of port infrastructure in New York is critical for the creation of new in-state jobs." Authors wrote optimistically of manufacturers "actively considering investment in new US facilities" for towers, blades and cables. They added: "In addition to its nation-leading commitment, the state’s central location should attract investment and make its port facilities ideally positioned to service wind farms across the region". Nearly 5,000 new jobs could be created in manufacturing, installation and operation of offshore wind farms "with a regional commitment to scale development" of offshore wind, NYSERDA claimed. Nearly 3,500 of these jobs would support New York, of which nearly 2,000 would be in operation and maintenance (O&M), the authority. Further, these jobs would provide "sustained career opportunities" for New Yorkers because offshore wind projects have life spans of at least 25 years. NYSERDA also stated that "many trade workers and assemblers" in New York have transferrable skills "that can be directly translated to the offshore wind energy industry". It added that the expanded workforce could generate $6 billion of in-state expenditure by 2030. Governor Cuomo had previously announced that NYSERDA would invest $15 million in training workers for jobs in clean energy – including offshore wind construction, installation, operation, maintenance, design and associated infrastructure. In the 20th proposal of the 2018 State of the State: New York’s Clean Energy Jobs and Climate Agenda, it was also announced that NYSERDA would work with other state agencies to research public and private offshore wind infrastructure investments. NYSERDA expects long-term technology cost reductions will take place as "local learning and local infrastructure development resulting from economies of scale" occurs. Eventually, this will lead to offshore wind becoming cheaper for utilities to procure than other large-scale renewable technologies in New York state, NYSERDA claimed. It cites the example of cost reductions in Europe, and argues that by developing "similar scale economies in the US northeast… by 2030 the cost to procure offshore wind will be lower than the cost of Tier 1 Renewable Energy Credits (RECs) associated with other large-scale renewable technologies". The report does not specify what this cost would be by 2030. 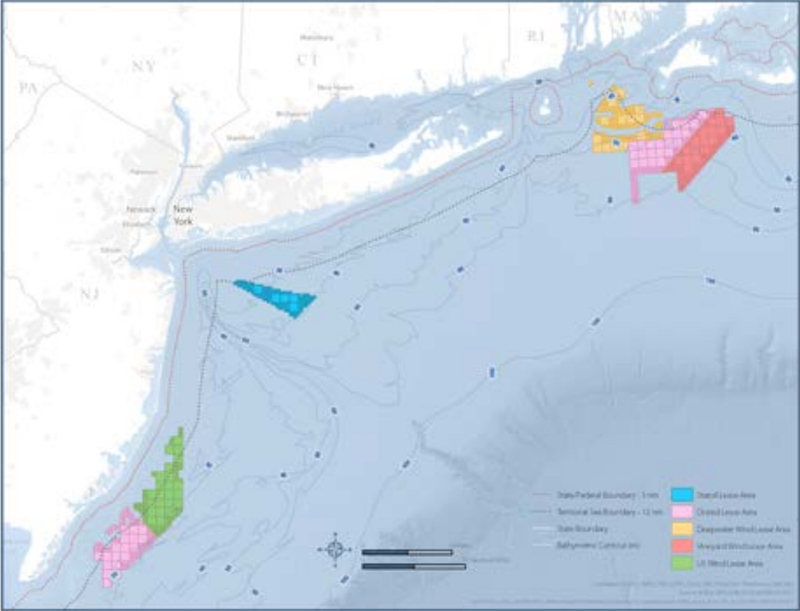 New York state will this year host a scientific workshop to present baseline environmental research and form a consensus on the potential impacts of offshore wind on local wildlife, including birds and fish, NYSERDA stated. It will then convene a working group of scientists to focus on measures to avoid, minimise and mitigate these impacts. The authority also suggested an environmental conservation fund) could be created to bankroll projects to address offshore wind development impacts on wildlife "that are larger than the scale of a single project, such as understanding an at-risk species’ life cycle or population status, or assessing the cumulative effects of numerous wind farms". NYSERDA also suggested that universities or relevant collaborators could help in further research to better aid the development of offshore wind in New York. Further research areas included: wind resource assessment, design and testing of components and systems, environmental risk reduction, community impact, and development of a workforce to carry out creation of 2.4GW of offshore wind.